Christmas is simply an amazing time of year. Although the stress is upon us thanks to the high consumerism of it all, it's still a very special day to many of us around the world, and today I thought it would be lovely to share the things I love about Christmas with you! Tree decorating. Oh my goodness, I am so excited that I still have one more tree to decorate and that of course is mine and John's special tree. We've been so busy for the last week and a half we haven't managed to find the time to put it together. But it's okay! We're going to do it tomorrow. Tree decorating is so much fun and I adore getting new decorations for our tree and creating a new ensemble for our lovely tree. This year we finally got a proper star and I can't wait to pop it on the top this year. Christmas Dinner. Probably the most looked forward to meal of the entire year and when it's here it is just time to indulge! I will admit that I am not a fan of turkey at all and would rather have it missing from my plate. Instead I would prefer if you gave me all the stuffing, pigs in blankets, parsnips and vegetables. I'm the sort of girl that prefers the trimmings you see and that's what I get excited for at Christmas. Who doesn't get excited about Christmas dinner!? Giving and receiving Christmas cards! This year I have rediscovered the love for Christmas cards. Working in a school, I've ended up receiving well over 20 cards already (and it's not even the end of the week) when the years that have past, I've only received two or three. I don't know what it is about Christmas cards but they're so lovely and special. I think it's the effort someone goes to giving them and when you receive some back, you feel really special! This year I feel extremely special and I love it. Presents. I'll happily admit that I love getting them! Who doesn't!? I do love giving them more than receiving them, but it's lovely when someone's got you a little something. Chocolate, a pretty scarf or a special present. That person thought of you and you should appreciate it! It's a lovely feeling as well as being super awkward, but nevertheless it's a love of Christmas. Present wrapping. The most tedious chore sometimes, but with some Christmas music or a film in the background, a steaming hot cup of tea or hot chocolate and your work station ready it's a great few hours wrapping gifts, making them look pretty and catching up on your favourite films. I love shopping for the paper and all the other bits too, so the whole wrapping present process for me is a blast! Happy faces. Last but not least this is one of the best things about Christmas. I could have listed a million of other things but other than gift giving, seeing happy faces all around me at Christmas makes my smile even bigger! It's definitely the most wonderful time of the year for me and it's only because it makes me even happier seeing that everybody is happy, enjoying themselves and relaxing for the day. The list could have gone on... I could have mentioned Christmas jumpers, shopping, crafts, films and candles. I could have even gone on to talking about family traditions and boyfriend-girlfriend traditions. There's so much I love about it, but these are definitely on top. Christmas is such a special time to me. It's the one time of year that I get to express my love and appreciation for the people in my life by giving them a special gift, eating a gigantic turkey together and generally just being a smiley and happy bunch of people! What makes your Christmas so special? 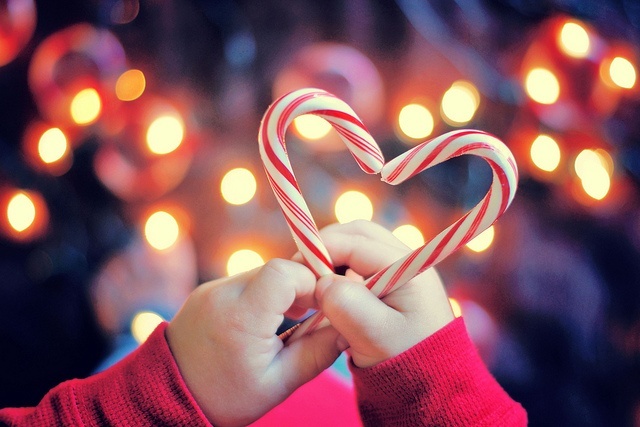 What do you love about Christmas this year and every other year?